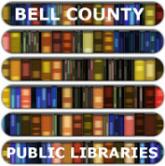 Please "like" our Facebook pages and keep updated on our programs in Middlesboro, Pineville, and on the Bookmobile, which serves the Bell County area. Do you know someone who loves books but can't read due to loss of sight or physical handicap? 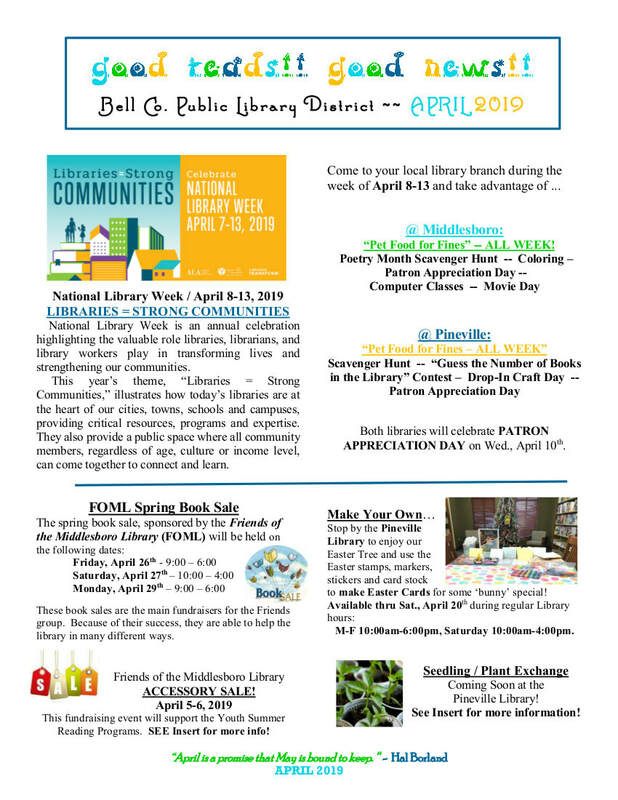 Monday- Friday: 9 a.m. - 6 p.m.
You can find a wide variety of literature including books for children, teens, adults, bestsellers, large-type books, and magazines! If you need bookmobile service or know of someone who does, please call Ms. Johnson @ 606-302-6035 or call either branch. Monday- Friday: 10 a.m. - 6 p.m.
Saturday: 10 a.m.- 4 p.m.